It just kept going on and on and getting colder and colder. So much so that my colleagues and I would joke each day (through our shivers) that we must actually be living in some never-ending winter avec, G.O.T. And, after spending a little bit more than I could really afford on my loved ones over Christmas I was oh-so good and didn't purchase anything of real note in January. I know we're less than a week into February but my I've made up for my frugal month and, whilst I haven't bought the Prada Astrology bag of my dreams (yet...), I took absolute joy finally adding the pieces that'd spend a long, slow month sitting in my saved items into my basket. I thought I'd share a few of them with you as, let's face it, it's Monday and we could all do with a little lift. My fave things? Hands down this amazing knit from & Other Stories. I spotted it and instantly loved it in Jan, even adding it into my Valentine's Gift Guide. 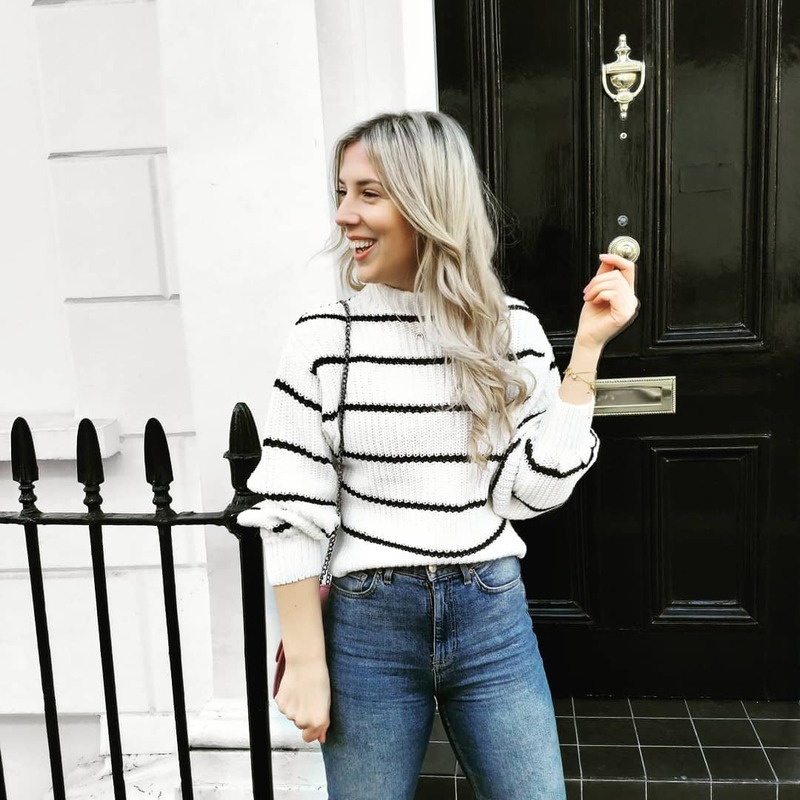 It just ticks all of the right boxes for me, it's a cropped and slightly oversizes style with a splash of colour which is perfect for brightening up dreary days and playful, but professional enough for a chic trouser-and-knit office look. I love. 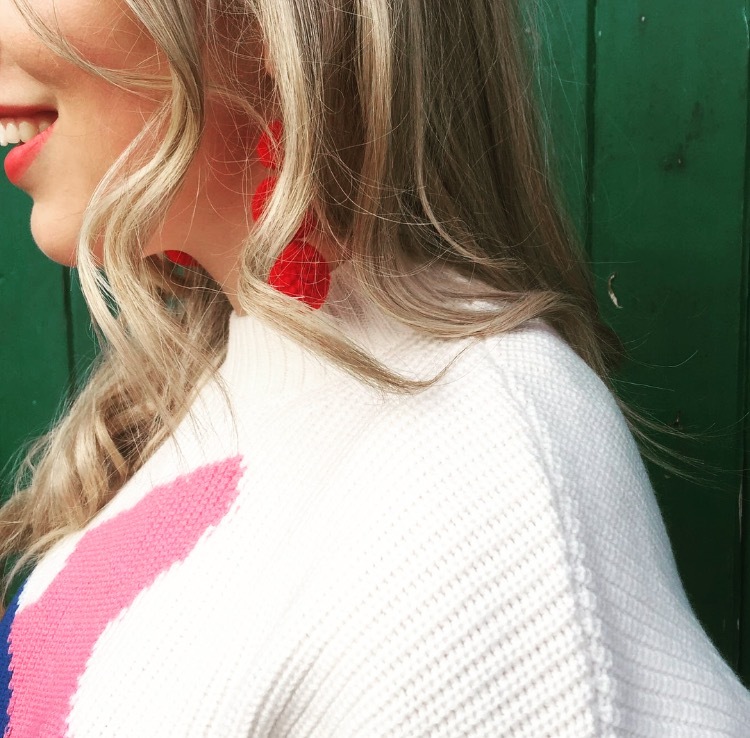 Also, these red pom pom earrings are truly worth shouting about. At just £6.99 they're fun and super affordable. I'm wearing mine with chunky knits now but can't wait to wear them with cami's (and a tan... hopefully!) when it (eventually...) warms up!